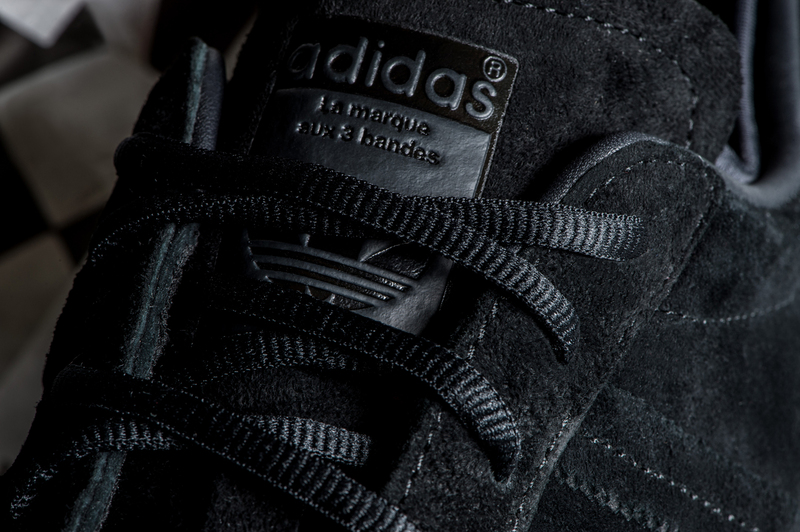 The perfect chef sneakers from adidas. 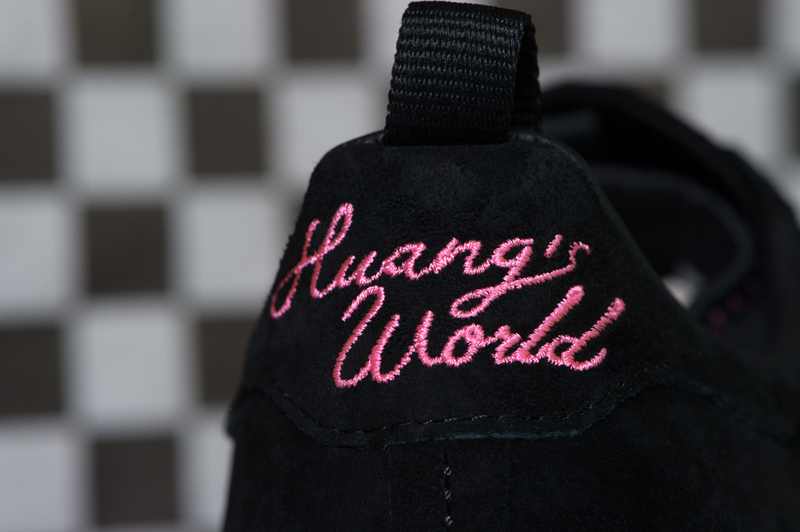 Eddie Huang's adidas Originals collection isn't one merely inspired by his time in kitchens—the shoes actually have materials that make them suitable for wear by restaurant workers. 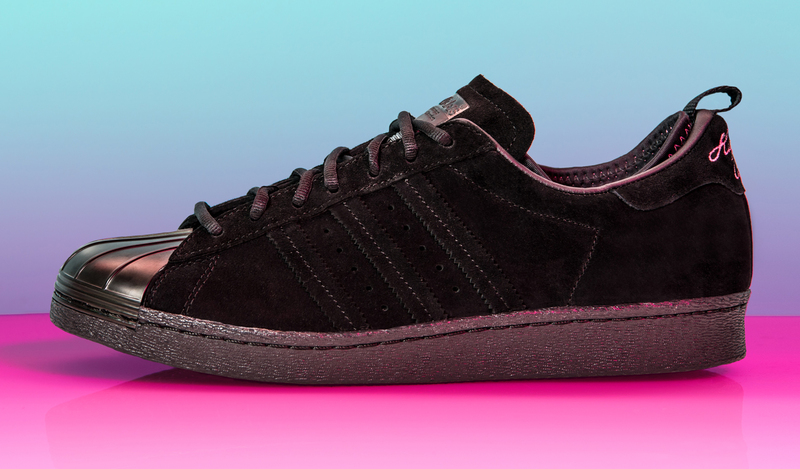 The black adidas Superstar offering uses flame-retardant suede, non-slip outsoles, and a Scotchgard material on the upper that blocks grease and liquids. 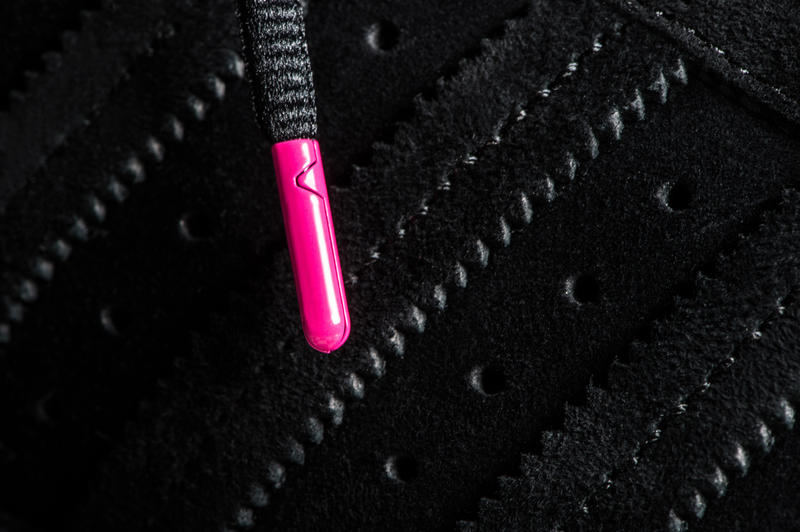 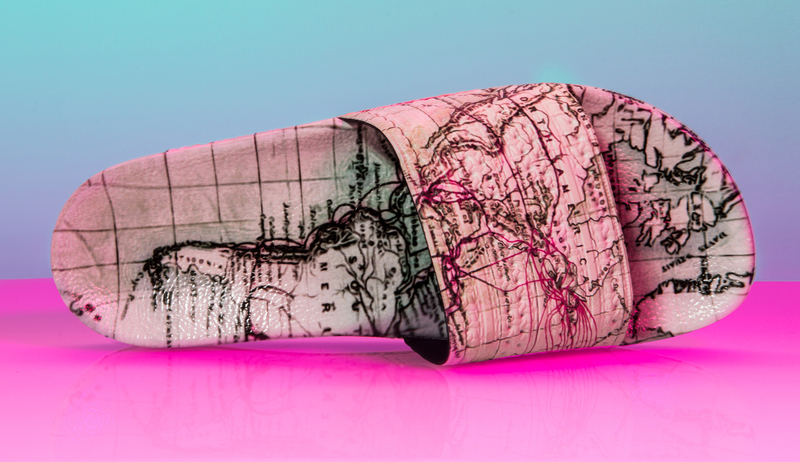 Also releasing is an adilette slide with a map graphic that references the global influences on Huang's cuisine. 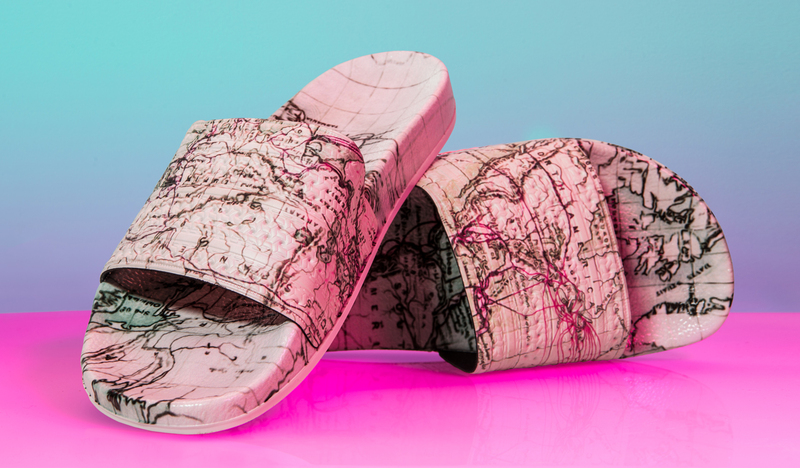 This duo of Eddie Huang x adidas Originals styles releases on Oct. 8 at $150 for the Superstars and $80 for the slides.